The young family that moved into this 1921 home in St. Paul’s Mac-Groveland area found a welcoming community, and easy access to the Mississippi River, shops, and restaurants. Sound ideal? Not exactly. The home’s layout simply did not work for their modern-day needs. The owners wanted a more open, functional space, a designated play area for the kids, a master bedroom/bathroom suite, and more. We worked closely with the architects and the homeowners and agreed to a 15’ x 37’, two-story addition. The new space accommodated all the homeowner’s needs, but it also required moving the garage. A welcome by-product came when we relocated the garage on the property and improved the yard layout as well. 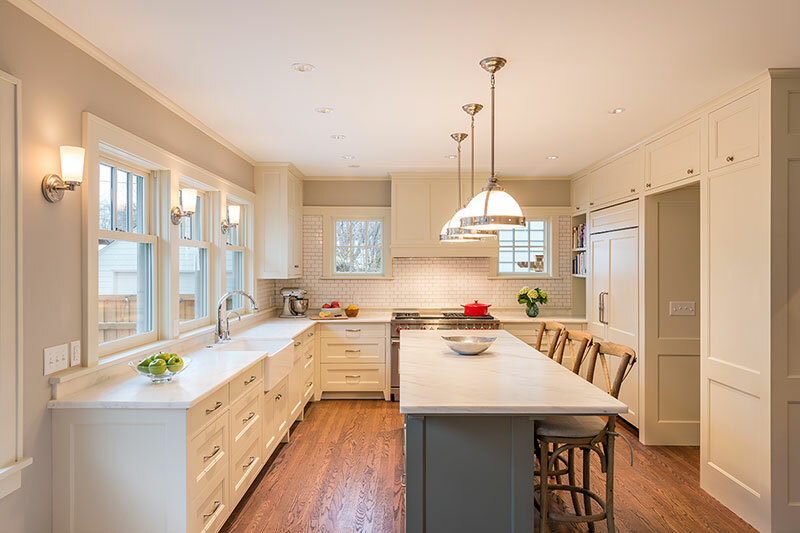 The new addition included a complete renovation of the kitchen, including converting the original space into a new walk-through pantry. 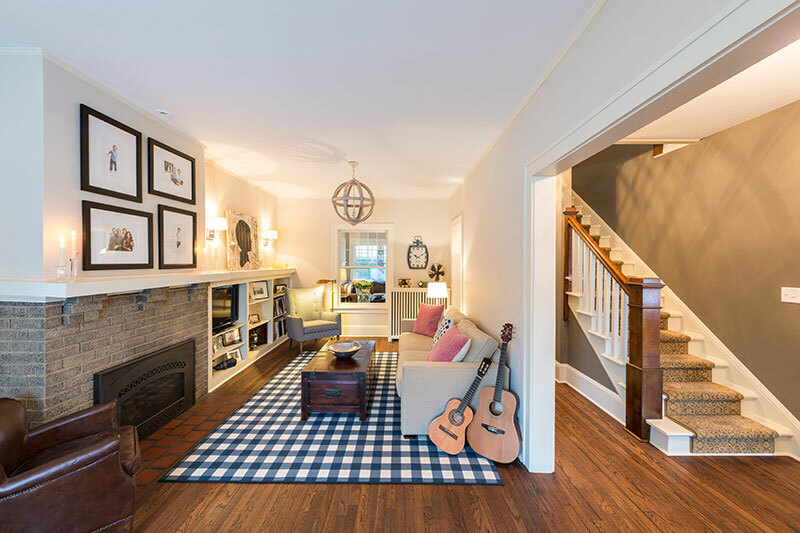 The main floor also included a new family room and a mudroom. 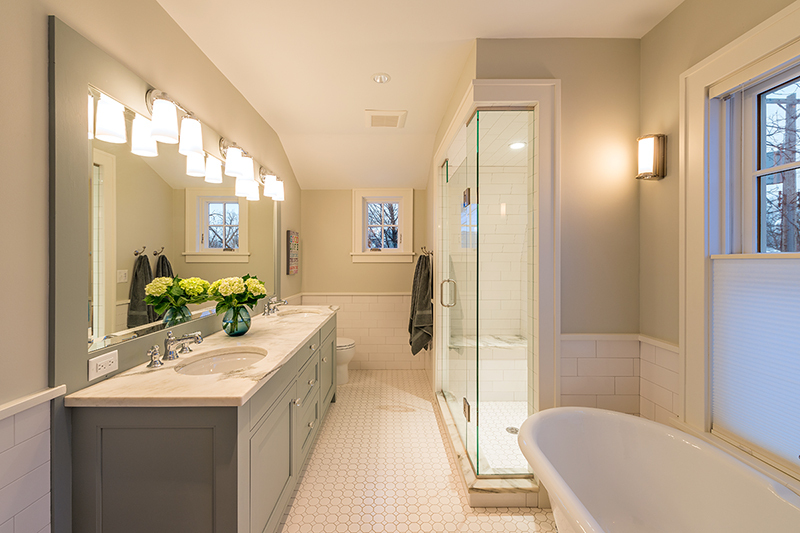 On the upper level we added a spacious master bedroom/bathroom suite with custom windows and dual sink vanity, a new walk-in shower and vintage- style bathtub. The basement level included a new bedroom and playroom for the youngsters. The family can now settle into their home with plenty of room to roam, relax, and entertain.